Stay in Amalfi Coast's best hotels! Located in Positano, Villa Magia is a boutique hotel offering an outdoor pool and terraces with panoramic views of the Tyrrhenian Sea. Villa Magia is a special place with exceptional views, amenities, food and rooms - all backed by an amazing staff who is there to cater to your every need. We cannot say enough about our stay. Set in the Minuta area, 1640 feet from the village of Scale, Palazzo Pascal offers free WiFi, suites and apartments set in a renovated, 11th-century noble villa. Free WiFi is available throughout. The great view of Ravello, Atrani and Amalfi from the room. The brand-new swimming pool. The plenty of terraces. The tranquil location. The nice decor. Centrally located in Positano, Le Sirenuse is just 656 feet from the coast and its beautiful beaches. 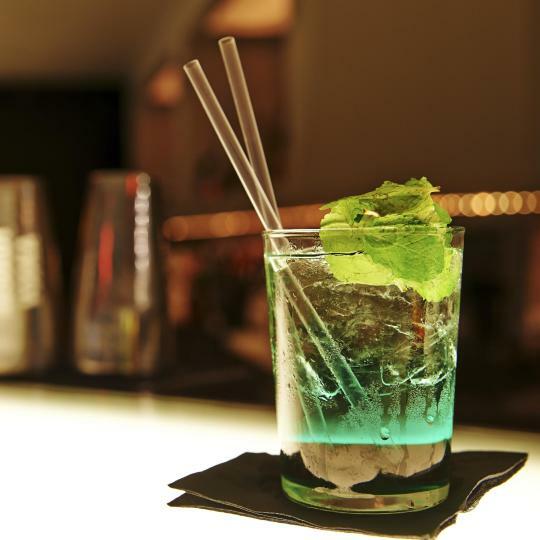 It features an oyster bar, a Michelin-starred restaurant, and elegant rooms with a private... Absolutely dreamy and wonderful stay ! True to what Positano represents. The restaurants are incredible, the views breathtaking, the service impeccable. Truly MAGICAL ! Offering a private beach, fitness center and a Michelin-starred restaurant, Il San Pietro di Positano is located in Positano. The hotel is incredible. The staff are top class. The best hotel in the world!!! Overlooking the Tyrrhenian Sea, family-run Al Barilotto del Nonno offers air-conditioned rooms with a terrace and sea views. Everything was just AMAZING! View is stunning, rooms are super clean, food is delicious, service is beyond AMAZING But all of this wasn't what made our stay so great, it's the amazingly beautiful team at Al Barilloto del Nonno who made our experience so wonderful; they were very friendly, extremely welcoming and helpful, they would go the extra mile to accommodate your needs and help you even if it's not related to your stay at their hotel, they greet you with a smile every time you enter the hotel or whenever you show up for breakfast. All the staff are very friendly and they are an actual family working together. Giovanni the owner is doing a great job running this place with love and care and such a great hospitality and professional service as well as a friendly and warm attitude. I recommend this place 100% to anyone who is visiting Positano/Amalfi coast as I am sure you will have the experience of a lifetime! 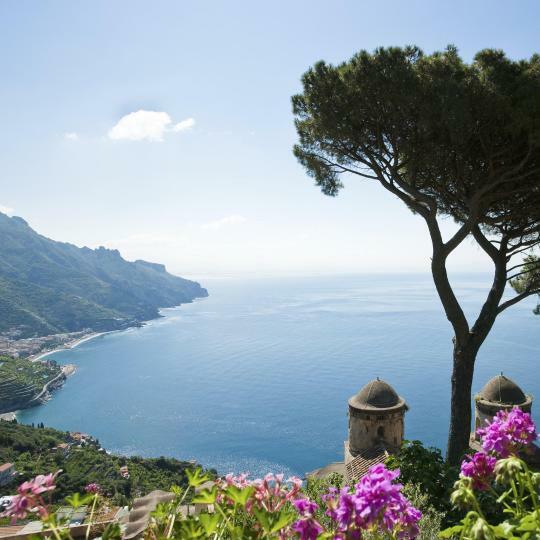 Only 164 feet from the Tyrrhenian Sea, Hotel Villa San Michele is in Ravello's Castiglione area. It offers air-conditioned rooms with sea views, a traditional restaurant and a 24-hour reception. the communication was always great, They agreed to hold my bags for 3 days while i was travelling around Amalfi Region. The place is like being in your own villa, The whole family works there and loved seeing the Family together working in the VILLA. The place is super well located, you can jump in the water, the views and terrace was perfect and Hotel rooms were big and Breakfast was FANTASTIC!!!!! LOVED THIS PLACE and I will be back! We would have stayed more but they were sold out for my other days. Overlooking the sea, Hotel Villa Felice Relais features a sun terrace and elegant rooms. The property offers free parking. The rooms come with air conditioning, flat-screen satellite TV, and mini-bar.... Staff was so friendly and accommodating. Hotel was super clean and comfortable with great views. Overlooking the bay of Positano, Art Hotel Pasitea provides air-conditioned rooms with a private sea-view balcony and free Wi-Fi. The hotel is very beautiful, big rooms, very good breakfast. The staff was very helpful. Featuring a traditional restaurant, Hotel Gentile is set in the historic center of Agerola. It offers classic-style rooms with a TV and a private bathroom with a hairdryer and free toiletries. In a quiet location at the south end of the Amalfi coast, Lloyd's Baia Hotel has a panoramic cliff-top setting above its private beach. In Vietri Sul Mare, it is a 10-minute drive from Salerno harbor.... Beautiful hotel, marvelous view from the room, nice breakfast. 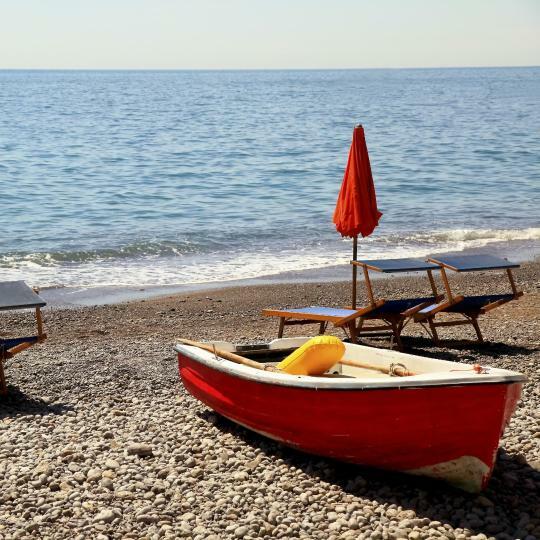 Hotel Vietri Coast offers relaxation and comfort in Vietri sul Mare, renowned jewel and pride of the Amalfi Coast. Proprietor extremely friendly and helpful. Centrally located in Positano, Le Sirenuse is just 656 feet from the coast and its beautiful beaches. 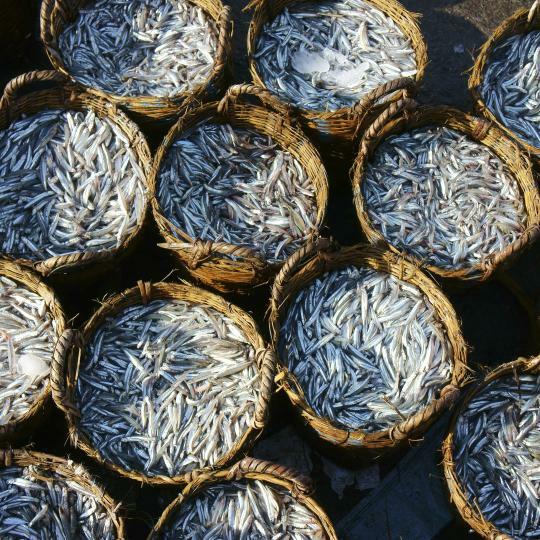 It features an oyster bar, a Michelin-starred restaurant, and elegant rooms with a private... Absolutely dreamy and wonderful stay ! True to what Positano represents. Villa Delle Palme is a family-run hotel located on the main road of Positano, between 2 famous restaurants run by the same owners. Very nice room, good location, friendly staff. Surrounded by excellent restaurants. Located on the Maiori seafront, Hotel Pensione Reale is an intimate property with free Wi-Fi. It offers classically furnished rooms with an LCD TV and Sky channels. It was like.staying at a favorite aunts house. Set on the Amalfi Coast in the picturesque village center of Maiori, 2-star Hotel Baia Verde offers a sea-view terrace and a regional restaurant. We really enjoyed our stay at Maiori. Just 1-minute walk from Positano's main street, Pensione Casa Guadagno is 5 minutes' walk from Fornillo Beach. Each one of its rooms offers a balcony with a view of the Mediterranean Sea. The room was lovely great space decorated well and fantastic view from the balcony. In Ravello, a 5-minute walk from the cathedral and main square, Albergo Garden has a restaurant with terrace and unbeatable sea views. Each room has its own balcony. Staff was excellent, view was spectacular, location was perfect and everything was very clean. 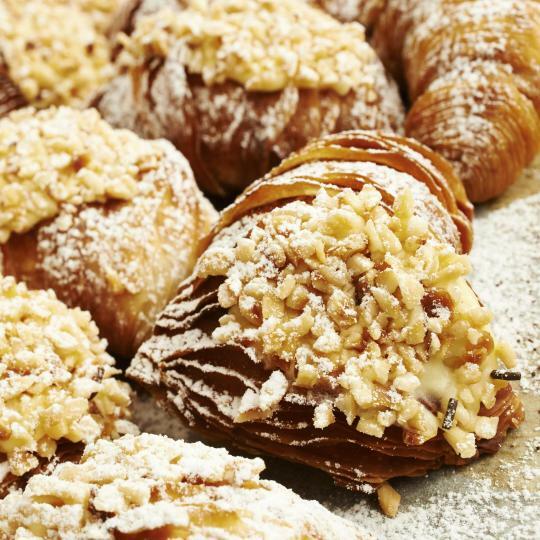 Home to the Emerald Grotto, sea-lovers can snorkel in the crystalline waters, while foodies can savour Sfogliatella, a sweet shell-shaped pastry from the Convent of Santa Rosa. 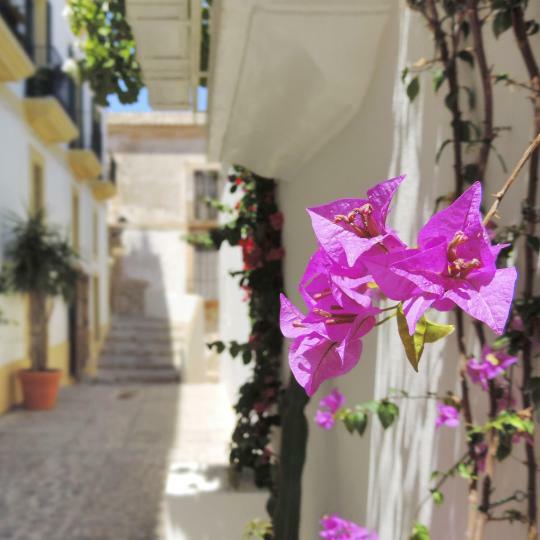 Small but full of character, this stunning hillside town gets its other moniker from the colourful open-air museum of murals lining its bougainvillea-lined streets. While Annunziata Historic Building hosts recitals, Villa Rufolo also delights with spectacular views and concerts in its gorgeous gardens. The Amalfi Coast is a home to unique artisan products. 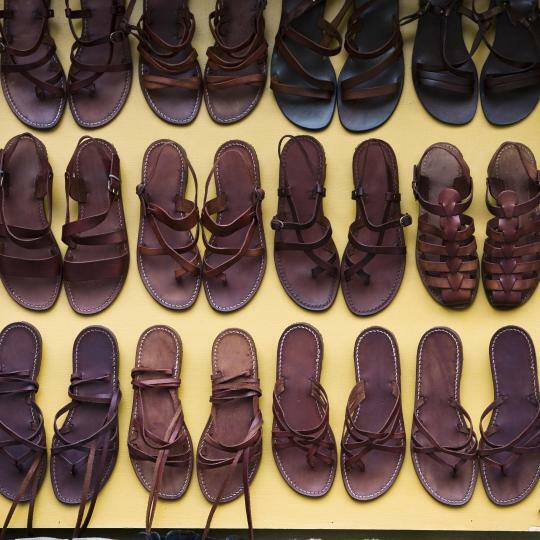 Positano is known for its linen beachwear, while Maiori is where you can shop for handmade Gladiator leathersandals. Set in natural caves, revellers can head to Africana Famous Club and admire the shimmering waters below. Extravagant live performance and lobster dinners are also on offer. 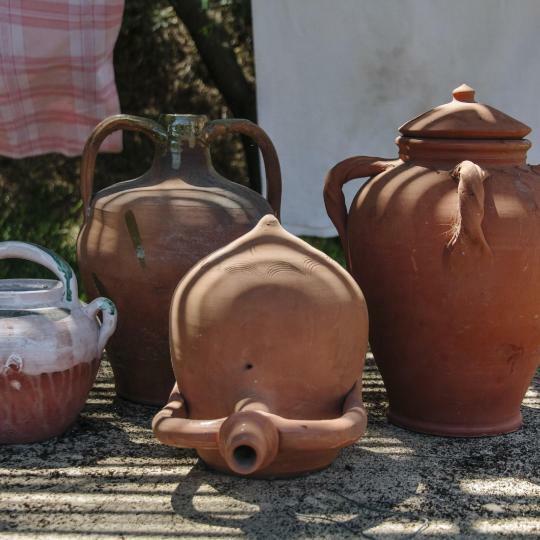 While colourful ceramics can be admired up and down the Amalfi Coast, the traditions of the master ceramist are a closely guarded secret in this picturesque coastal town. Experts at preserving anchovies, trattorias here are known for their fresh homemade pasta with fermented anchovy essence Colatura di Alici, topped with crunchy pumpkin. 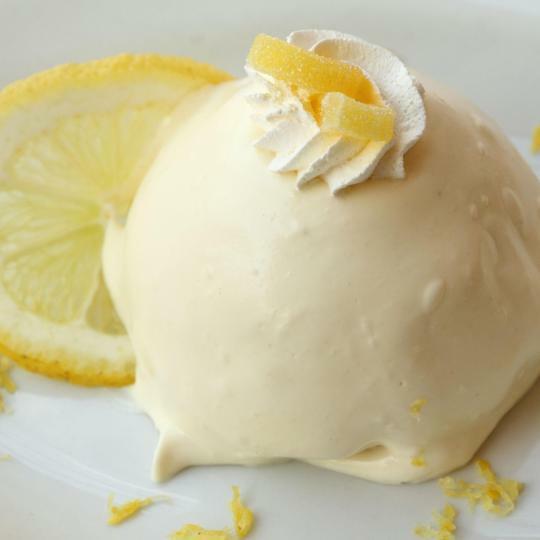 Sal de Riso Patisserie is perfect for people watching with some chilled lemon mousse, a zesty lemon sorbet, or a generous slice of pear and ricotta cake. 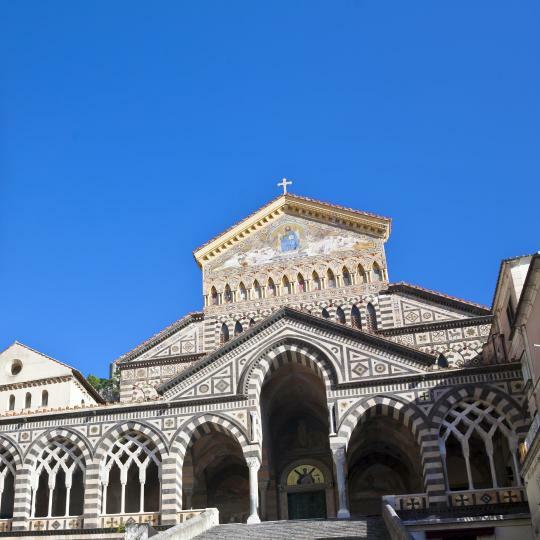 The grand staircase at 9th-century Amalfi Cathedral is a must-see. Sample chocolate-covered orange candy overlooking the bougainvillea terraces and turquoise waters. Crystal clear waters and endless stretches of golden sands run from Duoglio Beach in Amalfi to Cavallo Morto Beach in Maiori, while the hidden Laurito Beach near Positano is wonderfully secluded. This was a lovely little apartment up the hill in Positano with a fantastic ocean view. The property was clean, quiet and readily accessible to all that the Amalfi Coast has to offer (hikes, beaches, shopping, buses). Lisa was incredibly helpful in organizing airport transportation to/from Naples as well as a Capri boat trip. She was highly responsive to any of our needs and provided us with a lot of helpful information about the area (including delicious restaurants!). We would most certainly stay here again when we return to the area. We stayed in the “Charming” apartment. The views from the upstairs terrace/loggia of the apartment were absolutely STUNNING! Breakfast buffet was great — a nice variety and tasty. The apartment was large; with 2 bedrooms, a nice living room area, and a little kitchen & dining area. The grounds of the hotel itself were gorgeous and the view from every angle was spectacular. If you’re looking for a beautiful place to relax & admire the Amalfi coast I highly recommend this place. The Hotel Fontana is a great hotel with a prime location in the main piazza of Amalfi town, very close to restaurants, the beaches, and the main bus and boat hubs. The room was extremely comfortable and clean, and the staff were terrific, friendly and very helpful. The breakfasts in the morning were a delight as well. For the price of the room, the Hotel Fontana is a win win for travelers with an eye on budget and an eye on seeing the enchanting, extraordinary Amalfi coast. First of all, I want to say a big thank you to Angela. We were in contact with her to arrange a smooth arrival to the residence. Angela was also kind enough to give us a lot of great tips, map and leaflets with information about Amalfi coast! Since we arrived early, we were allowed to leave our suitcase at the reception until the check-in. The apartment itself was nice and clean, the best features are the small kitchen and lovely balcony. Very nice hotel on the Amalfi coast - rooms were clean and comfortable (although my AC didn't work well - all other rooms were fine) - we travelled with 11 family members from 2 to 80, and everyone enjoyed their stay. Continental breakfast was very good, with a great view of the Mediterranean, and the on-site restaurant was excellent -- great food and great service. I would definitely consider this hotel on our next trip to Amalfi! The best part about this hotel is its location. If you want a private sun deck with access to the water and a short walk to the town center, this is a great place to stay. Plus, it is also super close to the main pier, where you can go on various boat excursions to other towns on the Amalfi Coast. The catering staff is really friendly and helpful. The breakfast is adequate and the dinner is great! A room with a view on the Amalfi Coast has been on our bucket list for a while and we decided to go for it on our Baby Moon as we are expecting our first child in 3 months time. The view certainly didn't disappoint and we had a large balcony over looking the whole of Amalfi and the local mountain villages. The hotel despite being on of the biggest in Amalfi was nice and quiet and clean. Staying in Amalfi was one of the highlights of our time in Italy. The resort is convenient to everything in town. The staff were very helpful, right from being there to help us find the resort when we arrived, to responding promptly when I reported a problem with the wifi. The apartments are roomy, clean and well maintained. And the Amalfi coast is a great place to visit. it was great! the hotel has a stunning view of the sea. Nice rooms and nice stuff! 20 minutes walk to the center. We rented a scooter and saw the whole Amalfi coast. so it was very convenient for us to get to places. the hotel view was amazing!!!! We stayed 2 nights in Sorrento before we went to Amalfi.. we took a bus for 17euro I think to get to Amalfi from Sorrento. Spectacular views of Amalfi, my favorite city along the Amalfi Coast. The staff was exceptionally friendly and helpful, and the room was perfect. We had a wonderful breakfast which was prepared that family the owns the hotel. Wonderful, wonderful people. We loved Amalfi and we will absolutely stay the the La Valle Delle Ferriere when we return. It is the perfect place to stay at the whole of Amalfi Coast. Secluded enough to have a quiet time overlooking the sea while close enough to the town center. Staff is extremely helpful. Hotel is accessible from the main road which is a unique feature in Amalfi. This place has history attached to it and they have preserved it quite well. Fantastic hotel. We were lucky enough to enjoy at 7th floor room with balcony with an incredible view on Amalfi coast at a hostel price. Large breakfast included in the fee , amazing swimming pool, cheap cocktails at the veranda bar. Receptionists were cool we checked in earlier and checked out slightly later at very relaxing hours. The staff were a highlight of our stay at the Amalfi Luxury Hotel. Antonio went out of his way to make sure our stay was the best it could be. Antonio and Desiree were generous with their local recommendations for our Amalfi coast adventure. We can't wait to return. The staff was amazing authentic and genuinely happy to serve us! The location and the view from the balcony were perfect and the breakfast was the best we had throughout our hotel stays in the Amalfi Coast (stayed at two other larger hotels). Owner managed. Service is personal and warm. Location is great as a base for touring the Amalfi coast. Street access to Hotel is convinient for travelers. Living space is clean and hotel settings and deco is most appropiate for area. The host Giovanni was AWESOME, and so incredibly helpful!! The apartment was HUGE and the terrace overlooking Positano has the BEST view on the Amalfi Coast. We were BLOWN away and this was our favorite stay of our 3 city stops. Positano and Amalfi coast is a beautiful place and the view from the hotel/room was amazing. Also the terrace in the room was very good, we have sit in the terrace and enjoyed the beautiful sea view. The breakfast every morning was wonderful, the room was cozy and very comfortable and the staff was tremendous! We could not have asked for a better hotel in the Amalfi coast! The stay in this hotel is amazing, they will guide you in any plan all over amalfi coast. The hotel view is amazing. Breakfast is excellent.